Training for naturopathic doctors includes a degree in pre-medical sciences followed by four years of naturopathic medical training. There are seven accredited educational institutions in North America that provide naturopathic medical training. In order to obtain licensure in Canada or the US, ND’s must complete their education at one of these institutions along with standardized examinations. Naturopathic doctors are trained in many natural modalities including: herbal medicine, nutrition, traditional Chinese medicine, physical medicine, homeopathy, orthomolecular therapy, and more. These methods are used to help each individual achieve a healthy state. The main goal is to support the body’s self healing mechanisms by first determining the underlying cause of illness and disease, rather than just treating symptoms. 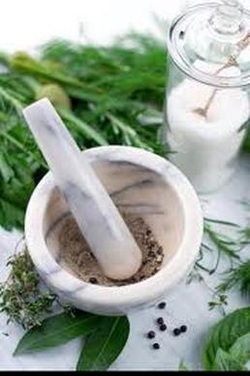 Botanical medicine is a form of medicine using plant materials. Herbs have been used across cultures for centuries as the primary form of medicine. Pharmaceuticals are often derived and synthesized from single plant constituents. Dr. Coombs uses botanical medicine in the form of tinctures (liquid extracts of herbs), supplements, teas, oils, creams and ointments. Botanical medicine has proven to be effective for a vast array of health concerns. It is very important to remember that even herbs can have potential side effects and may interact with conventional medicines. As a Naturopathic Doctor, Dr. Coombs is extensively trained and qualified to recognize these interactions and prescribe botanical medicine in a safe personalized prescription for your specific needs. Nobody likes to change their diet, but what many people don’t realize is that its their diet that’s limiting their health. Clinical nutrition is aimed at reviewing what it is a patient is putting into their body and recognizing any symptoms that may be present from food sensitivities, vitamin and nutritional deficiencies and or excesses. Dr. Coombs uses functional testing to make informed decisions to develop personalized attainable dietary and supplement plans for you. She doesn’t believe in radical change over night, but rather she believes in empowering you to understand your choices. She works with you meeting you where you are at to implement sustainable, achievable changes in your diet. All aimed to positively affect your health. Acupuncture is a form of traditional Chinese medicine that uses tiny needles inserted into mapped out meridians and points on the human body to achieve a therapeutic effect. Acupuncture is used with success for chronic pain management, fertility issues, treating addictions, stress conditions, emotional imbalances, insomnia and to increase energy. Dr. Coombs may utilize acupuncture as part of your naturopathic treatment plan or refer you to a trusted acupuncturist for your treatments. Homeopathy is a form of medicine that uses dilute natural substances to stimulate the body’s inherent healing capacity. Homeopathy aims to mount a response to restore homeostasis (balance). Homeopathy is very safe and often used for infants and children with great results. Homeopathy is also safe during pregnancy and lactation when other treatments may not be advised. Physical medicine is very important to restore structural integrity and proper nervous system function. The technique she most often choses to approach the physical body with is called Crainosacral therapy. Crainosacral therapy was developed by an osteopathic physician John Upledger after extensive research in Michigan. It is a gentle hands-on method of evaluating and enhancing the function of the central nervous system, which regulates the rest of the body. Because it works on the root of the problem this therapy has great success with many conditions. Dr. Coombs often combines crainosacral treatment with acupuncture and or other therapies to comprehensively treat the physical body. You don’t have to have it all figured out to move forward. Our emotions have been scientifically recognized to have a huge effect on our physical body and can no longer be ignored, or be compartmentalized into only counselor’s and psychotherapist’s offices. Dr. Coombs works with her patients at their pace to help realize what it is that may be emotionally holding them back from achieving their health goals. She believes in the power of the truth and acknowledging reality. The truth about how you are feeling, how you are in your relationships, who you are, and what you want. Dr. Coombs does not work by rehashing painful details, but works with her patients through their bodies to release and reframe old stories or memories that may be blocking their ability to be holistically healthy. This allows her patients to move through these parts of their past with new perspective.